At the end of a long day, we understand that many Wood Dale residents may find the thought of cooking dinner a daunting one. If this sounds familiar, rest assured that you aren’t the only person who sometimes prefers to go out for dinner to making your own. While there is nothing quite like biting into a juicy, tender hamburger when you’re hungry, a good burger can be hard to find. In today’s post, we’ll review the three components that are necessary to create a mouth-watering burger that you’re sure to love. Thankfully, The Crossroads Sports Bar & Restaurant has your needs covered. With more than 10 burgers to choose from and a wide variety of imported and domestic beers, you can count on us for a spectacular meal. Call 630-765-3578 with questions or stop by today! When it comes to choosing the right bun for your hamburger, the options are seemingly endless. Some people even choose to forego the bun altogether, either because of dietary restrictions or otherwise, while others hold a firm allegiance to their preferred tsyle of bun. If you prefer your burger on the juicy side, a thicker, more sturdy bun is best as it won’t get soggy as easily as other options. Because of this, Kaiser rolls or ciabatta rolls make the best buns for juicy hamburgers. Onion rolls and sesame seed buns are also great options for adding another flavor element to your burger. Just as some folks are incredibly particular about what type of bun they prefer for their hamburger, many burger connoisseurs are very selective about what types of condiments they dress their meal in. Some people prefer hamburgers that have more condiments on them than meat while others are purists, preferring nothing but the burger and the bun. There are several different condiments you can add to your meal, such as the standard ketchup, mustard, mayo, lettuce, tomato, pickles, and onion. To create a unique dish, some choose to get creative, adding things like fried eggs, peanut butter, jelly, and cream cheese to their burger. Finally, while the best bun and select condiments are essential to crafting a tasty burger, there would be no burger without the right meat. Standard hamburgers are often created solely out of beef, however, you want to choose a meat that has the right amount of fat content to keep the burger tender and juicy after it is grilled. Aside from beef, other types of meat, such as ground sausage, lamb, and pork, also work well for creating a delicious burger. 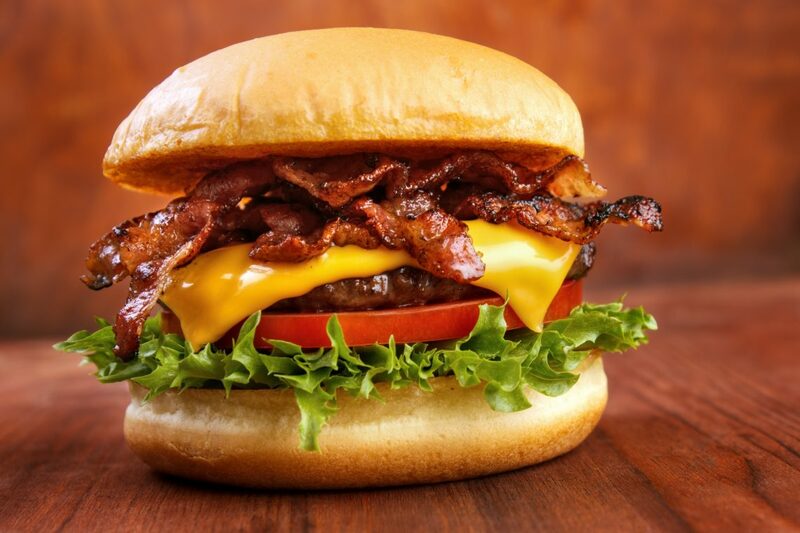 Many burger fanatics combine beef with other meats to create a unique flavor combo. 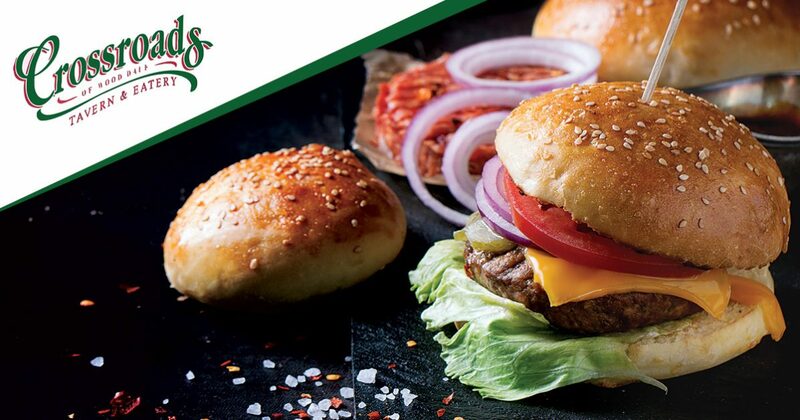 The 10-ounce burgers at The Crossroads Sports Bar & Restaurant are some of the most flavorful and juicy burgers you’ll ever have the pleasure of enjoying. Crafted from premium brisket and chuck, our hamburgers are specially seasoned and char-grilled to perfection. You get your choice of a soft pretzel roll, classic brioche bun, or a marble rye bun with a side of freshly cut fries or homemade coleslaw. It doesn’t get any better than that! Stop by our convenient location off of W. Irving Park Road today — we look forward to seeing you soon!